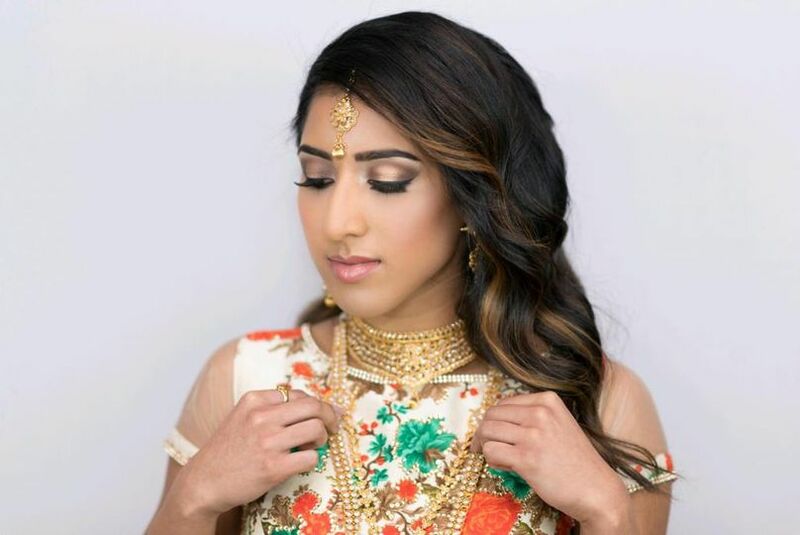 Empowder, aka Amola Surya, is an on-site wedding makeup artist and hair stylist for couple’s weddings in the greater Washington, D.C. area. 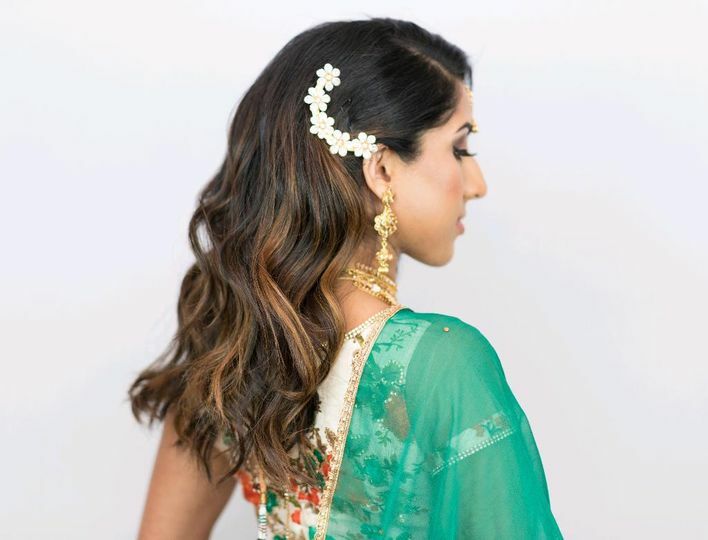 Ms. Surya is a bridal specialist with advanced makeup and hair styling techniques for American and South Asian brides. 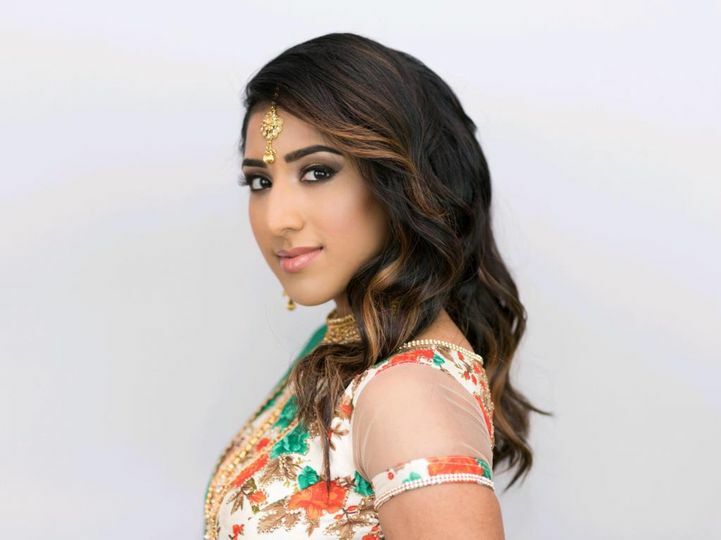 She is an expert with multicultural brides and bridal parties. 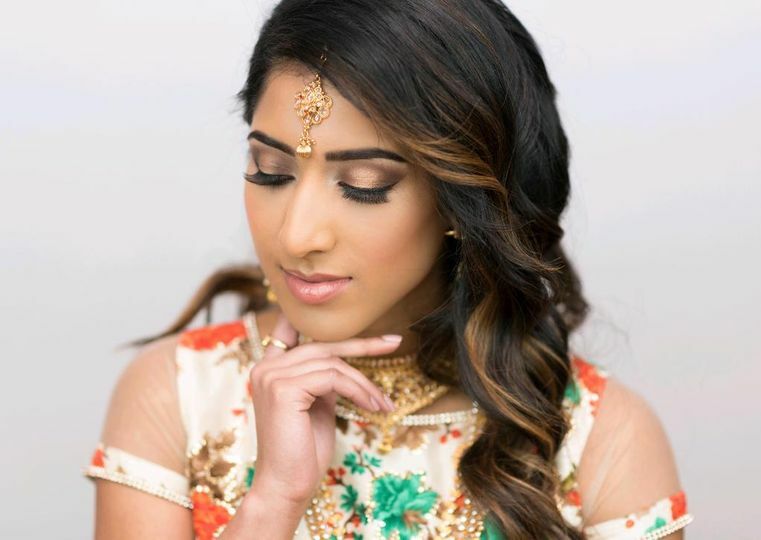 Ms. Surya's is a versatile artist who can give brides a anything from soft and romantic look to a glitz and glam look, which is very rare for artists in the DC, MD, VA area. Amola of Empowder is awesome, amazing and affordable! 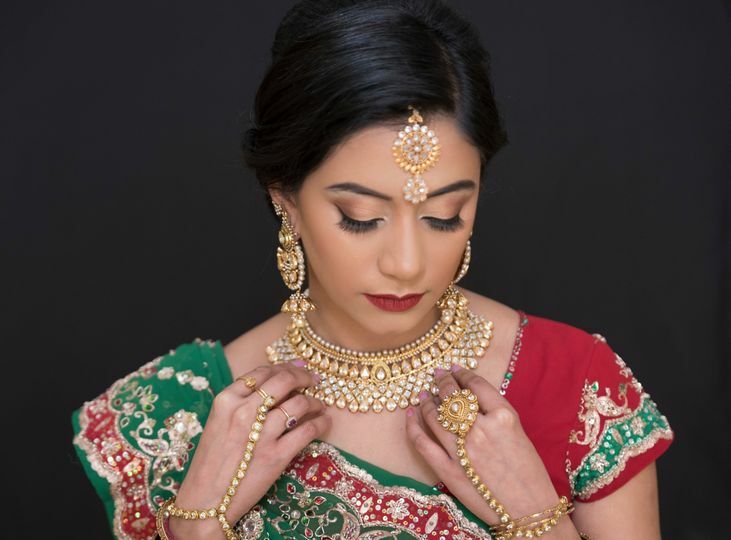 Like most brides, one of the major factors in searching for a makeup artist was pricing and Amola is very competitively priced for the DMV area. The other major factor during my search was skill and style. 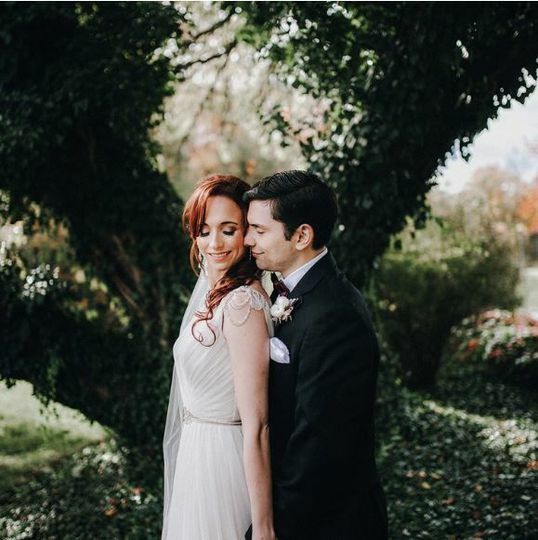 I loved that she has worked with brides and clients of many different cultura backgrounds. 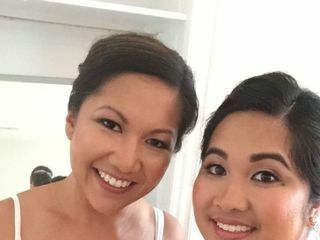 As someone who is mixed and had a somewhat diverse bridal party, I wanted to book a makeup artist who has experience working with different skin tones, and doesn’t just give with one kind of look. I had my makeup trial with her for my engagement photos, and was simply blown away with how different I looked, but in a very good way! I usually wear makeup here and there, but working with Amola helped make me feel glam for my engagement session, and especially for my wedding! 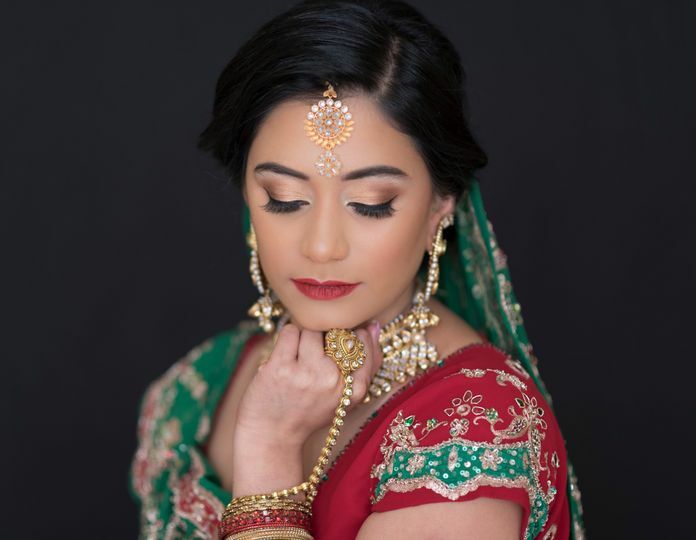 After my engagement session, which was a year before the big day, I booked her right away because I really wanted her to help beautify my girls and I. 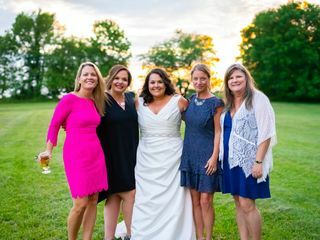 On the day of the wedding, she was ready to go before we arrived, and all of my girls not only loved Amola’s sweet, down to earth personality, but how their makeup looked on them and how long it lasted! 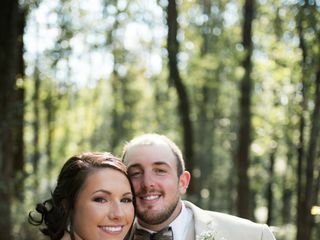 We didn’t need a touch up the entire wedding day and night, even after dancing! 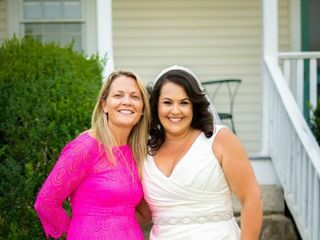 She is super efficient because she alone was able to do makeup for 6 bridesmaids, my mom and myself in record time. If you are in the DMV area, definitely hire Amola/Empowder! You won’t regret it! Amola is AMAZING. We ended up having to change the wedding venue a few weeks out from the wedding and she was so accommodating! She got everyone’s makeup done on time and everyone looked fabulous. The hair and makeup stayed all night long. Everyone kept complimenting my hair and makeup. She is so friendly and makes you feel comfortable. Check out her Instagram and see her before and afters... she’s a miracle worker. Hire her. I promise you - you won’t regret it. She’s the best! I found Empowder (Amola Surya) through the MD Wedding Consignment Facebook group. I decided to contact Amola after browsing her website and portfolio, along with her reviews on this website and others. I personally found it difficult to find a hair/makeup artist who actually had reviews on a "real" (AKA, non-Facebook) website, so it was a relief to find someone with a professional setup. After Amola sent me her pricing guidelines via email, we had a telephone call to discuss my ideas, general style, etc., after which I decided to schedule a trial. Amola conducts trials at her residence in Frederick, but she is also willing to travel. I opted to go to her home. She is very friendly and welcoming, and I feel that we "clicked" right away. Before the actual hair and makeup, she performed a skin analysis. For me, this was a bit extraneous because I have a set skincare routine already, but for brides who may not be as knowledgeable this is a great additional benefit in my opinion. For hair and makeup, I had some inspiration pictures for my hair, but I had less of an idea for makeup. I wear a full face of makeup everyday and wanted to look special/different but still like myself, so I described my usual routine and we went from there. I was so pleased with the entire look but did make some minor adjustments (hair placement, lip color), which is the entire purpose of the trial. After the trial, I contracted with Amola for hair and makeup for myself and my bridesmaids. I found her pricing to be very reasonable and well within my expectations. She provided false lashes for everyone, which was one less thing for us to worry about. Amola was probably the most responsive of any of our vendors - she was always easy to reach and quick to reply to email and texts. 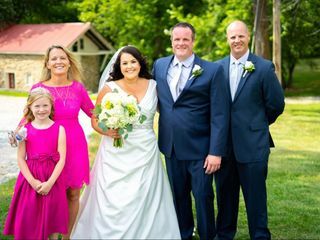 On the day of the wedding, she arrived right on time and finished around the time predicted, even with the last minute addition of my mom for hair. I would advise to accept her suggestion to add a little buffer in your timeline, just in case! She remembered my comments from the trial and adjusted my final look accordingly. I felt beautiful, and I know my bridesmaids did as well! Our makeup stayed in place all day and photographed wonderfully. My hair did NOT move, but it still looked soft and natural (not crunchy or stuck in place). 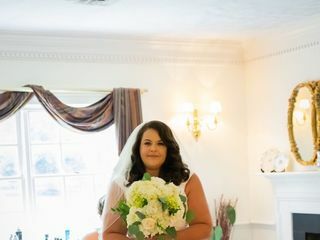 Additionally, one of my friends/wedding guests contacted Amola after my wedding for her own wedding hair and makeup. Amola was not available on her date, but she recommended another artist who has done a wonderful job. I thought this said a lot about Amola, both in regards to her networking abilities and her professional kindness in helping my friend. 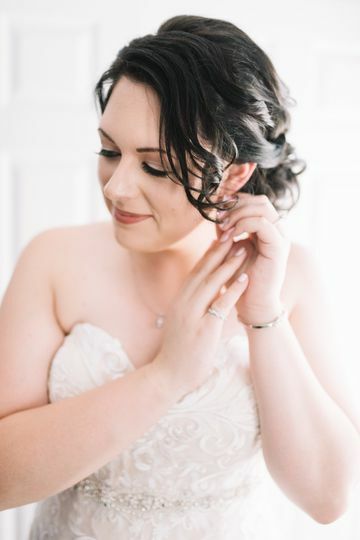 Overall, I would highly recommend Amola for both hair and makeup! You could not ask for a nicer, more talented artist.